If you love to exercise often but want some extra help with your stability and strength, then weighted training clothes may be an excellent option for you. Certain workout gloves, ankle-bands, belts, vests, shirts, and shorts are made to carry weighted inserts during your workout, providing you with extra resistance and an opportunity to build more muscle during cardio and strength training. With so many quality options on the market today, we have made choosing easy by compiling a list of the ten best weighted training clothes you can buy. Weighted training vests are great because of their versatility, and the Cross 101 Vest is the best you can get. Altogether, the vest weighs 61 lbs. and its weight can be adjusted depending on your specific needs and training level. Unlike many vests that come with one large brick weight, the Cross 101 comes with 20 separate 3 lbs. weights made of iron ore that fit snugly into the vest’s pockets. 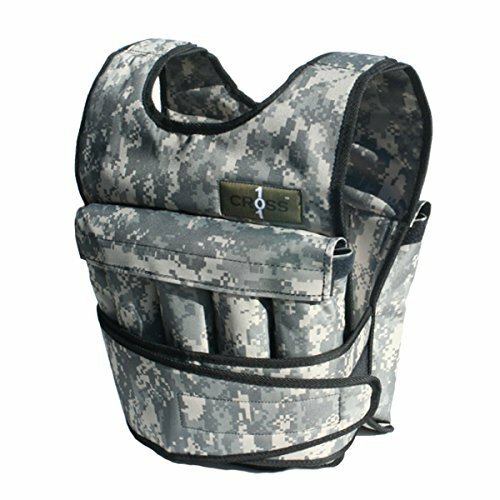 It even has additional pockets for the more experienced trainers who would like to buy and use extra weights other than the included 60 lbs. This vest is easy-to-use and features a simple one-piece design that is conveniently one-size-fits-all. This vest is ideal for almost any exercise. Use it while you run, hike, or do some strength training. Weighted shirts are similar to vests in function, but they are lighter weight and are also more form-fitting and comfortable for workouts that require your flexibility. The Titin Force Weighted Shirt System comes with two layers: an inner shirt with pockets for gel-weights and an outer compression shirt. The inner shirt holds 8 lbs. of form-fitting gel weights, which can be frozen or heated while still maintaining their flexibility. Use heat or cold during your training, or to help you recover post-workout. The outer compression shirt is antimicrobial and wicks away moisture, so even as you break a sweat the shirt isn’t holding onto odor or leaving you uncomfortable. The form-fitting characteristic of this shirt means that is won’t restrict your movement during any exercise, and the compression keeps the gel-weights in place. 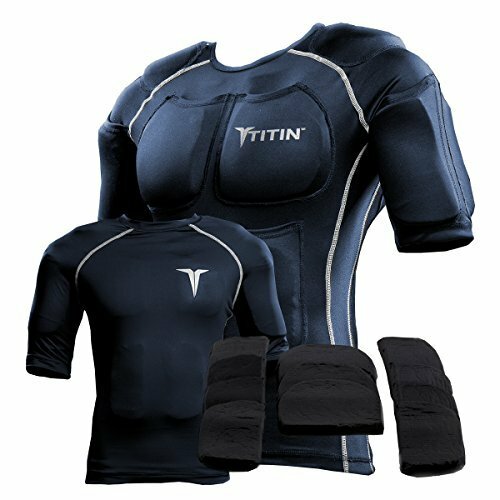 If you’re wanting a little extra weight with your Titin shirt system then you’re in luck. The company makes shorts as well. They are compression style, like the shirts, are can be worn as your outer layer shorts if you want. The shorts are similar in function, using 4.5 lbs. of flexible gel-weights. It has all of the same compression, moisture wicking, and antimicrobial features of the shirt system, making it another high-quality product. The shorts are especially good for helping you with better posture during your workouts. Although weighted, these shorts feature a built-in and comfortable belt to ensure that they will not slip and you can be as mobile as possible. 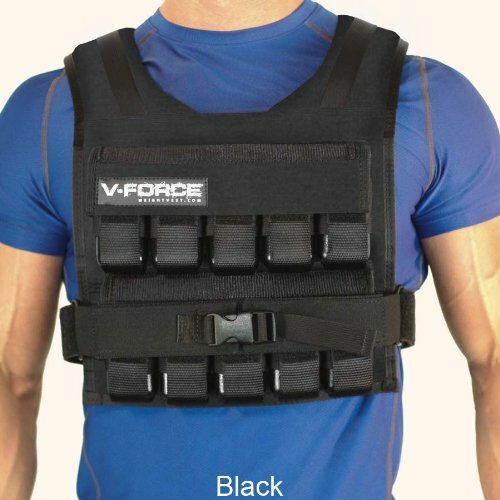 The V-Force Short Weight Vest is different from the Cross 101 because it uses a brick weight rather than smaller pocket weights. Still, it is an excellent option if you’re looking to get a heavier-weight training session in. 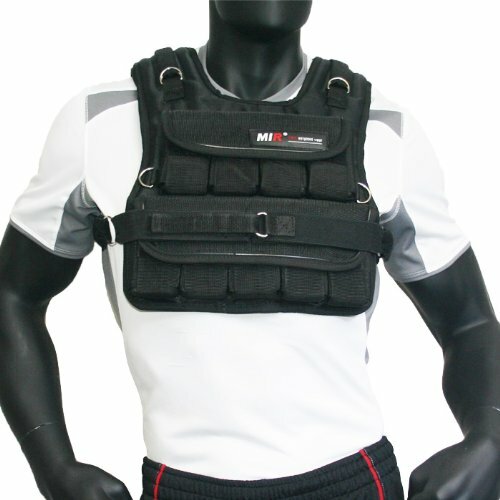 The two-piece vest weighs 75 lbs. altogether, with a 50 lbs. base and 25 lbs. attachment weight. Because of this, you cannot gradually up the weight in small intervals and should buy this option if you are already comfortable with strength training. The weight-pocket is reinforced with a second layer, ensuring that the weight won’t slip or cause tears in the vest during workouts that require a lot of motion, such as running. It is built to last with rugged materials and can hold up to any kind of training you enjoy. For some, the short style of this vest may be more comfortable, allowing mobility and flexibility during abdomen or back exercises. 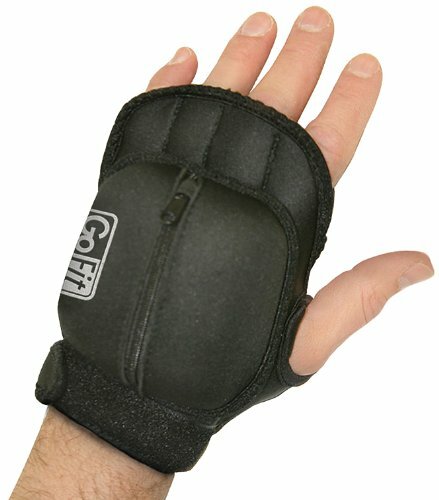 You may have a pair of weight-lifting gloves at home, but do you have gloves that are weighted themselves? The weights are small, only 1 lbs. for each glove, but this creates some pretty serious resistance when used during cardio workouts. They are made specifically for activities such as jogging, Zumba, kickboxing, and just about any other cardio workout you might enjoy. The weights in each glove are made of iron sand, so they are comfortable against the back of your hand and form-fitting. The gloves are made from an extremely breathable neoprene-polyester blend that wicks away moisture, so they should stay smelling fresh through several tough uses. The weights are removable, though, making the gloves themselves easier to just throw in your washer after a few training sessions. If you are an avid CrossFit athlete, body-builder, or just someone who loves lifting, you may be interested in weighted belts. The Brute Force Sandbags Weight Lifting Belt was made to be durable for just this purpose. The chain link buckle is unbreakable, and the loops were made strong for attaching extra weight during your training sessions. This company’s belt is much more flexible and adjustable than others on the market, meaning that you can find the perfect custom fit and not worry about discomfort during your workouts. Instead of using iron weight-packs, this belt is instead weighted using sandbags sewn into the belt itself. Because of this, it is not adjustable other than clipping new weights to the loops provided. 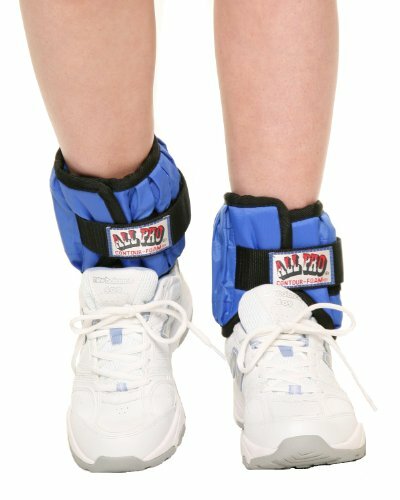 Ankle weights are wonderful for jogging, walking, leg lifts and other leg exercises. The All Pro Weight Adjustable Ankle Weight is the best if this is what you’re looking for. It comes with 20 iron 1 lbs. weights, allowing you to customize your workouts to be as easy or as difficult as you want. This company is known for making their weighted products comfortable, and this ankle weight is no exception. The product is padded to protect your ankle and your Achilles’ tendon so you don’t suffer any discomfort or even injury during workouts. 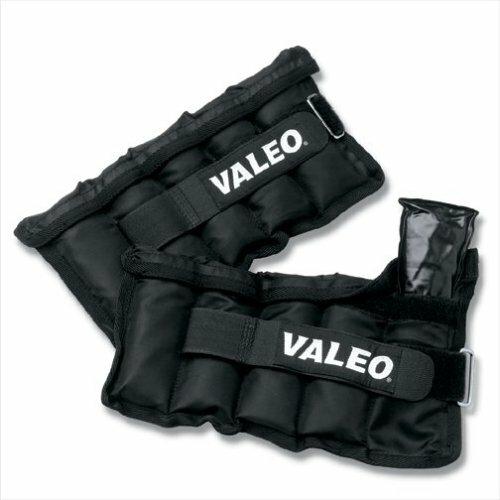 It features velcro straps that allow you to create a snug and custom fit to your leg, and even these straps are padded. If you are in need of weighted shorts made specifically for cardio purposes, look no further than The MIR Adjustable Weighted Shorts. 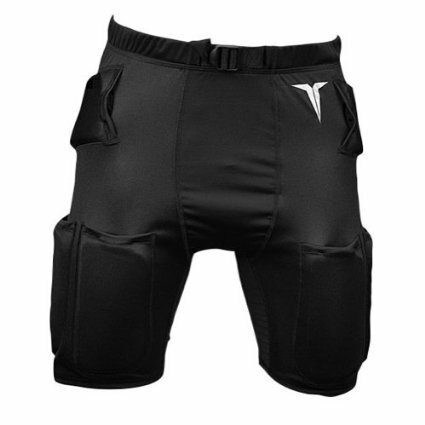 They differ from the Titin shorts in the fact that they are not full coverage compression style. They are meant to be work outside of your clothes. Also, instead of gel-weights these shorts use iron ore and can be adjusted much heavier than the other brand. This pair comes with 3 lbs. weights and reaches a maximum weight of 45 lbs. Because of this, the shorts and especially the belt are made to be heavy-duty, featuring a padded and double elastic belt for secure fit even at the heaviest adjustment. Use these shorts for incline training and running exercises. 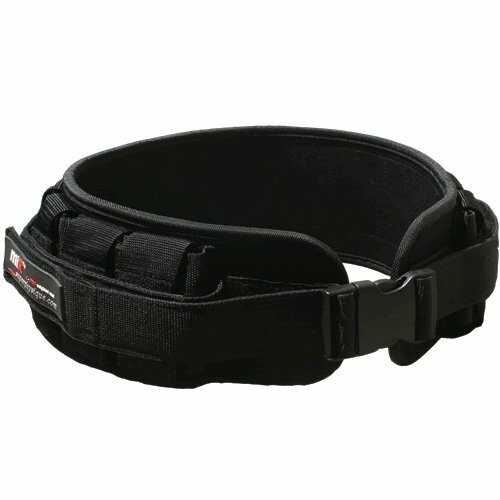 Also by MIR is The Champion Adjustable Weighted Belt. It differs from the first belt on the list because it uses pockets for iron weights rather than loops or sandbags. The belt comes with 3 lbs. weight that can total 36 lbs. altogether, ensuring you get the most stamina and strength training for your workout. 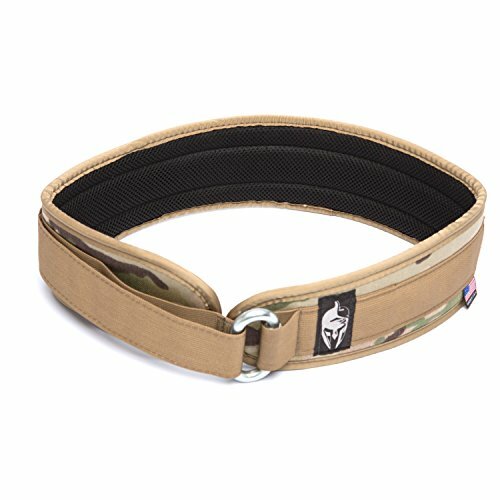 This belt features a heavy-duty dual strap, meaning that even if you run the belt isn’t going to move on you. It was also made specifically to protect your lower back, abdomen, and spine during weight-lifting. Unlike other brands on the market, the MIR belt gives this protection comfortably with no excessive pressure. Our final product is this Valeo Adjustable Ankle and Wrist Weight. Because it has a smaller height than the All Pro Ankle weight, this brand can also be used for your arms. Each of these weights comes with 5 weight packets of 2 lbs. They are padded for your comfort, meaning that they are ideal for long walks, jobs, hikes, or other forms of cardio and you won’t have to worry about them slipping off during more extreme training sessions. 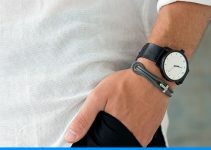 The double D-ring closing system allows you to find the perfect custom fit and switch between ankles or wrists whenever you like.